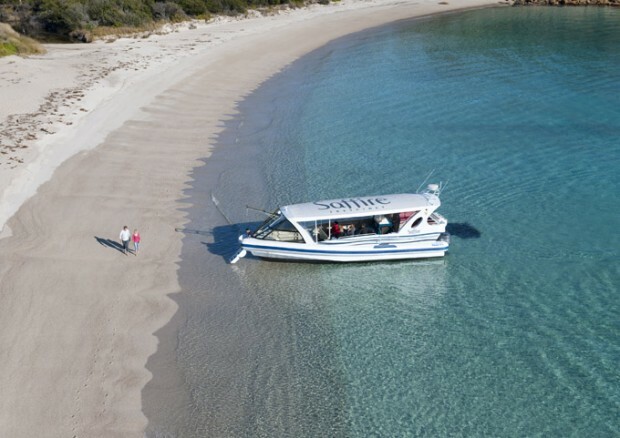 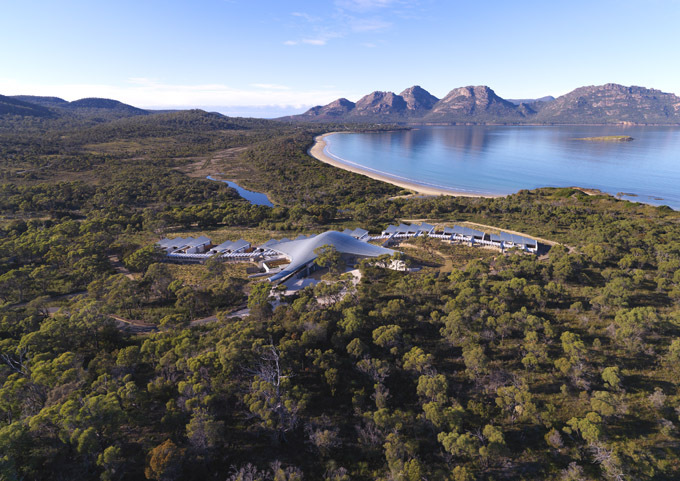 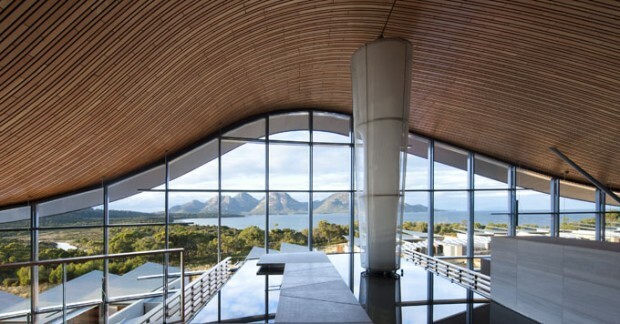 Saffire Freycinet is luxury resort opened on Tasmania’s East Coast in Australia. 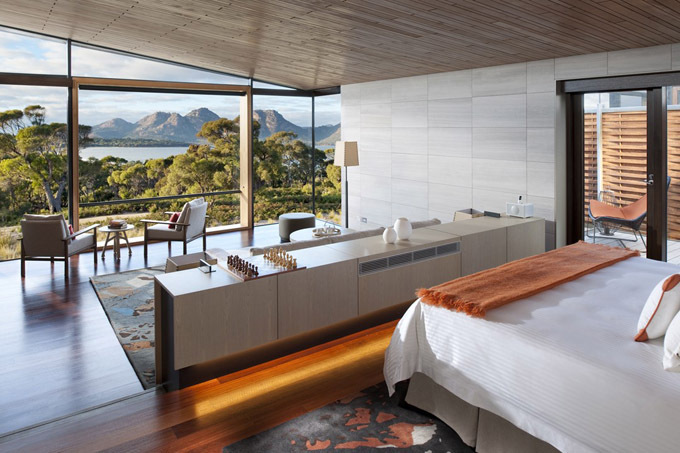 Without wanting to sound cocky, it takes a lot to get us to write something like this.In the suite, the amazing bathroom was all marble with heated tiles. 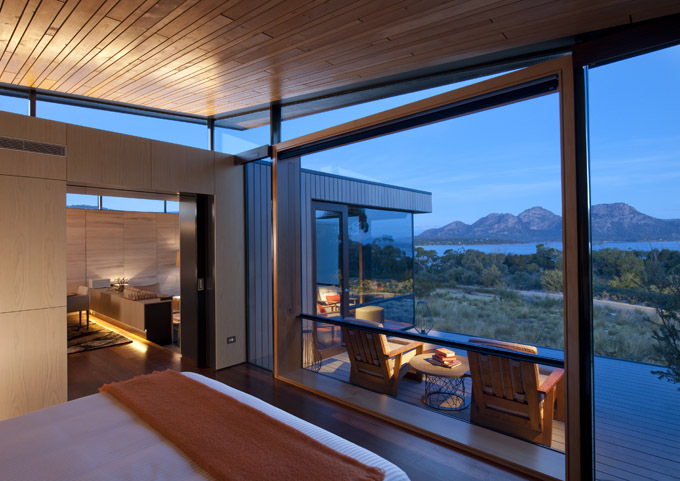 Our suite’s amenities included, of course, wireless internet and remote controlled blinds, but the best part was the sweet turn-down service. 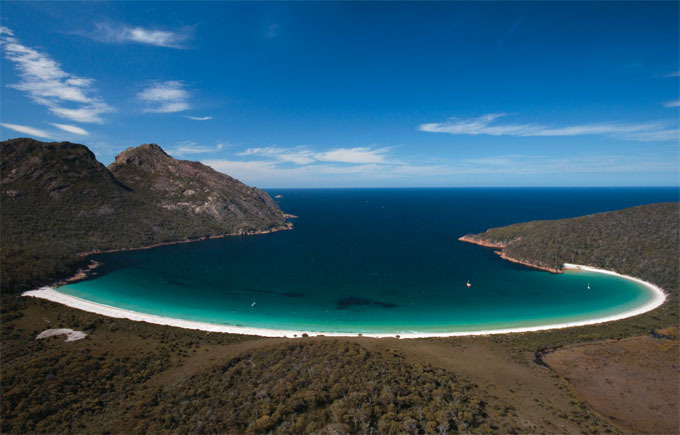 They supplied a hot water bottle for the bed and a thermos of hot chocolate as it is winter in Tasmania. One of the highlights of our stay was Saffire’s restaurant Palate. 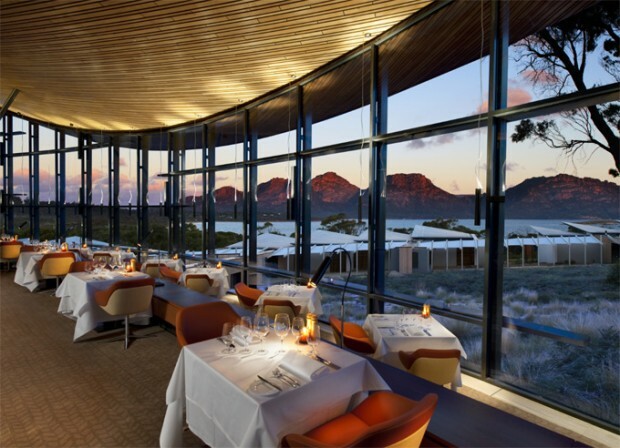 The multi-course degustation menus matched with the outstanding local wines are the specialty of head chef, Hugh Whitehouse, who is an Australian icon and a master of fresh, local, imaginative food prepared and served with style, love and care. 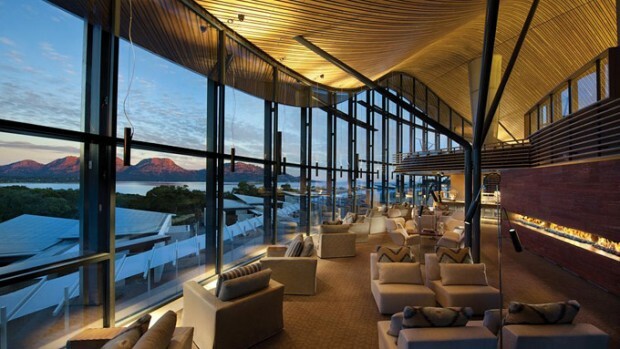 We would go back for the food alone.